BackTrack 5 Release in 5 days, on 10th May ! 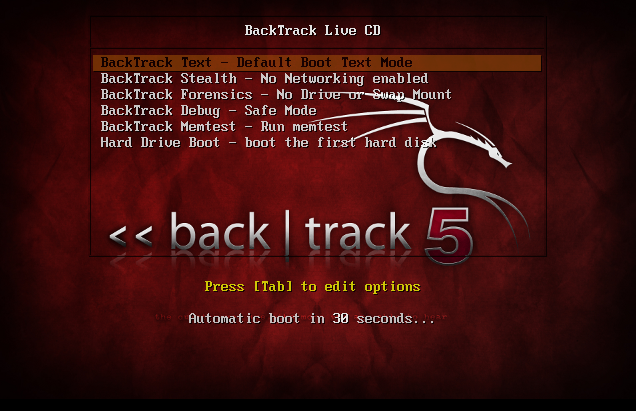 For all those who haven’t heard, BackTrack 5 will be released in 5 days. So far, BT are on schedule and the whole team is excited by the release. The 10th will be a hectic day for us, so BT thought BT’d start putting out some information about BackTrack 5 ahead of time – to reduce thier load on the release day. BT5 release will start on May 10th (don’t bug us about the timezone), and will primarily be available for download via torrents. This is to reduce the massive load on our mirrors for the first few hours. As time progresses into the release , BT will then allow direct downloads from our mirrors. The 32 and 64 bit images support “Forensics Mode”, which boots a forensically sound instance of BackTrack and “Stealth mode”, which boots without generating network traffic. And yes, Metasploit 3.7.0 *was* packaged into BT5. We are all looking forward towards the release, and will resurface from our bunkers on May 10th … Bring on the Revolution!